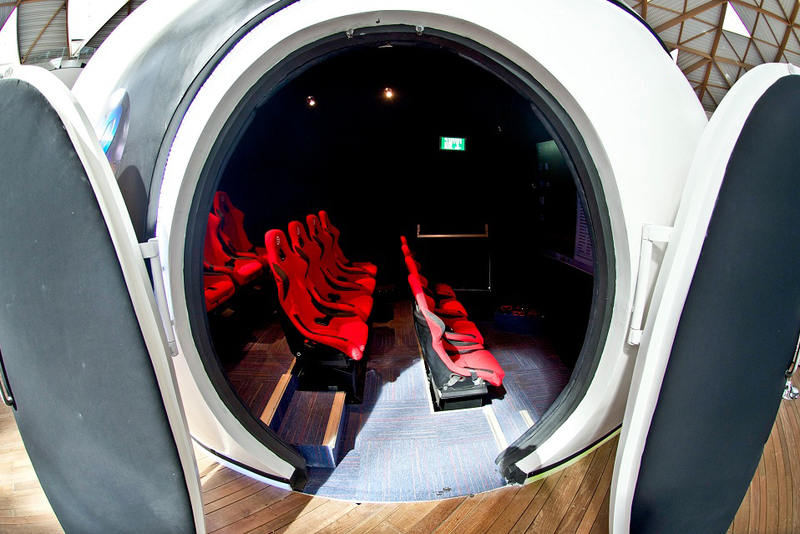 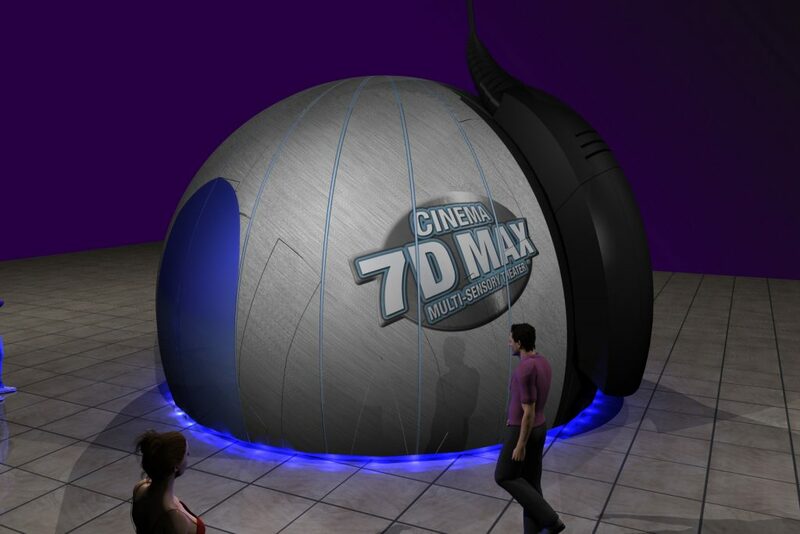 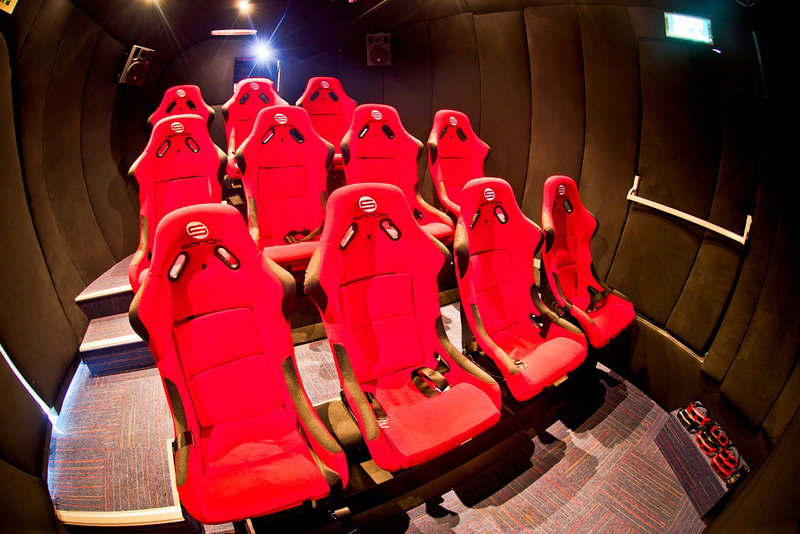 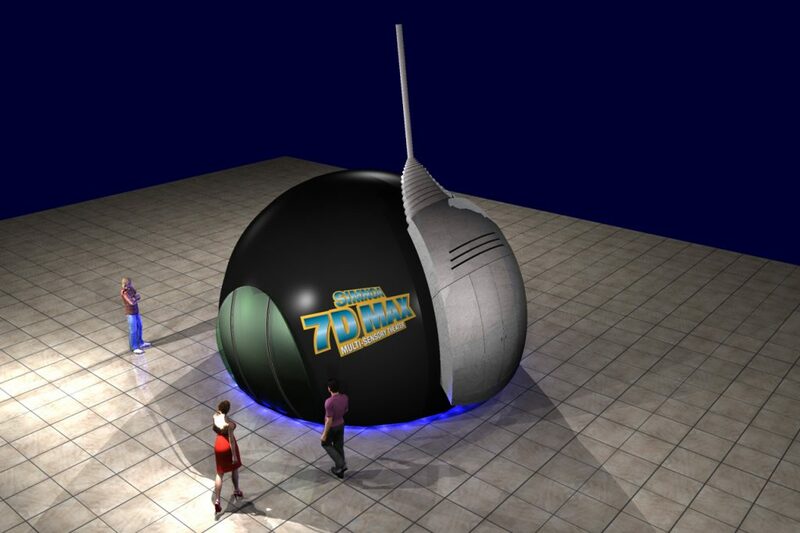 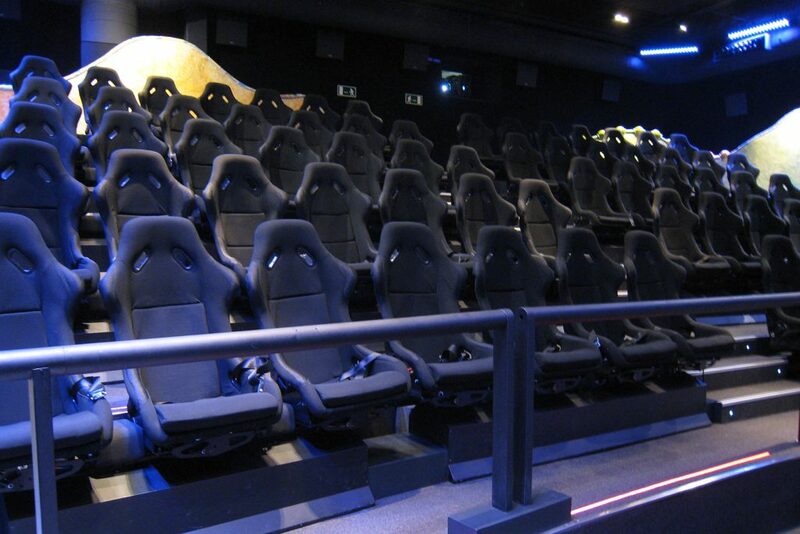 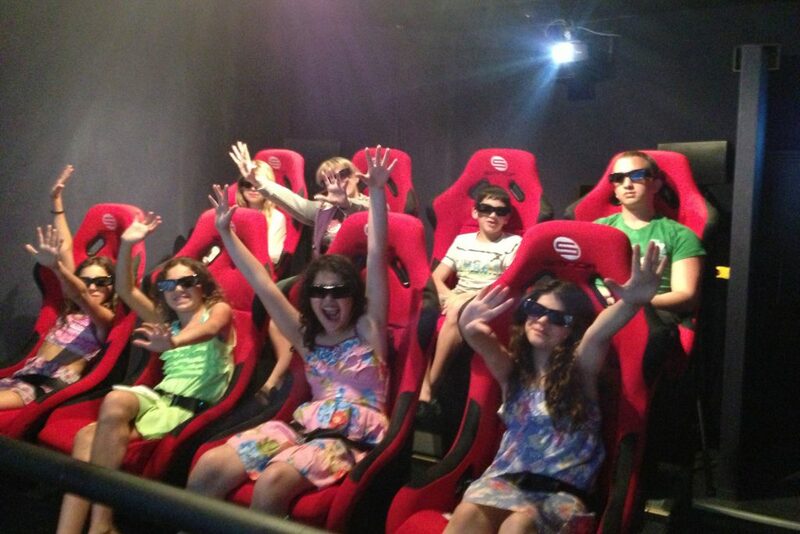 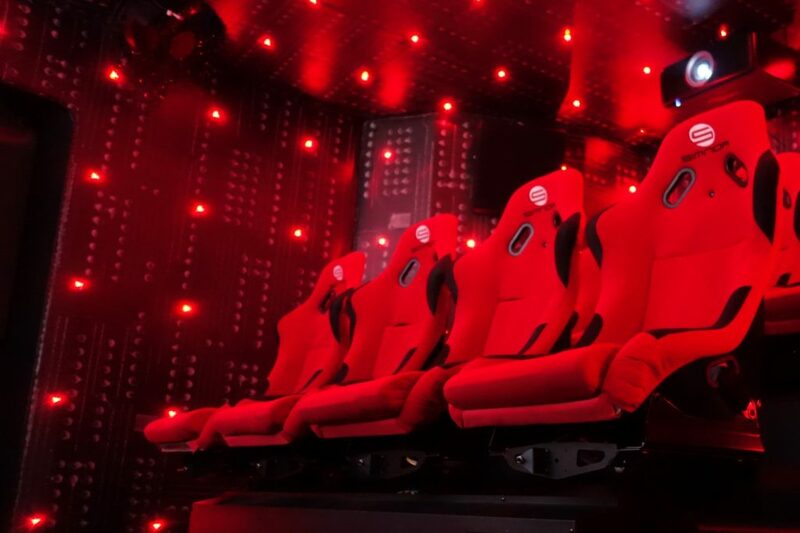 Simnoa’s 4D, 5D and 7D theaters offer a turnkey solution for the most enthralling theater experience. 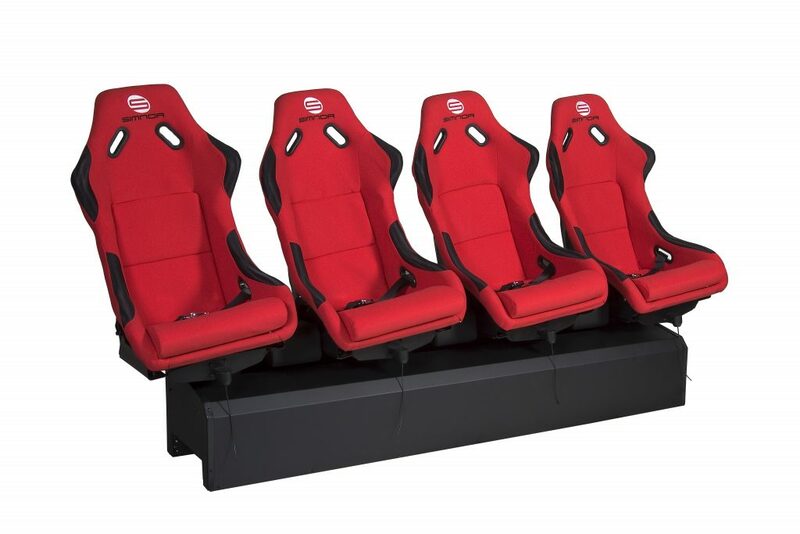 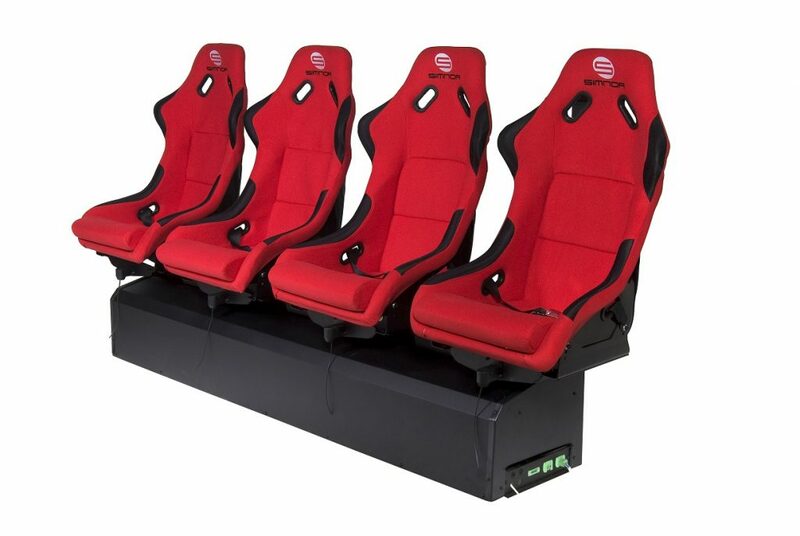 Simnoa’s advanced full motion effect cinema seats (SIM4000 and SIM5000) provide a range of motions – forward and backward tilting, continuous waves, swaying, vigorous rides, and gentle, fly mode movement, suitable even for full length films. 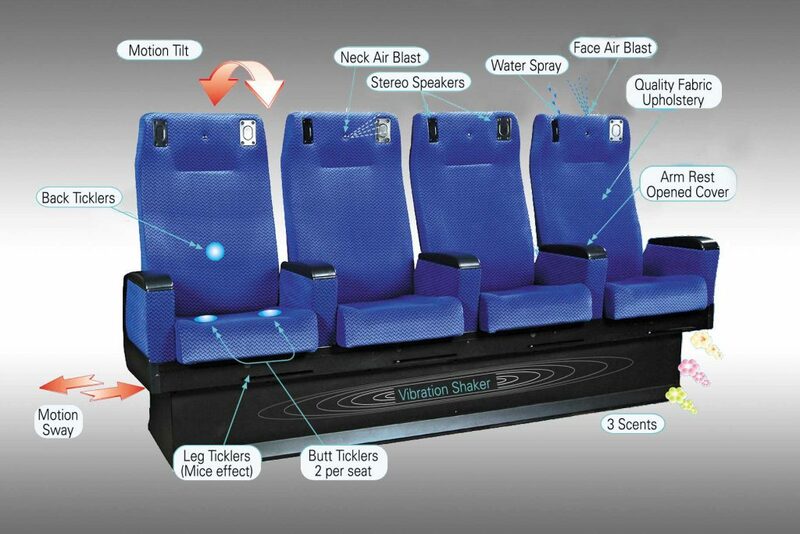 The seats offer personal effects including seat vibration, leg tickling, face and neck air blasts and water spray. 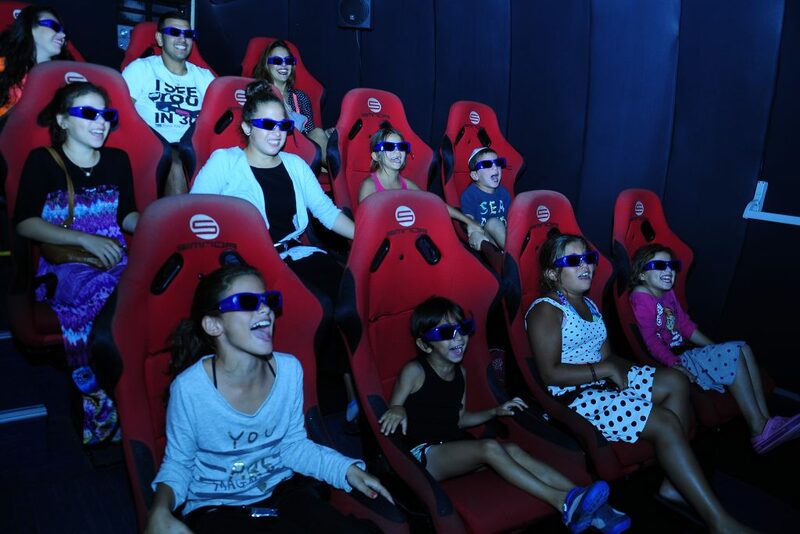 Run by a central control system, the theaters use a HD video player; a complete 7.1 audio- video system; 3D screen; HD 3D projectors; 3D films packages; and 3D glasses. 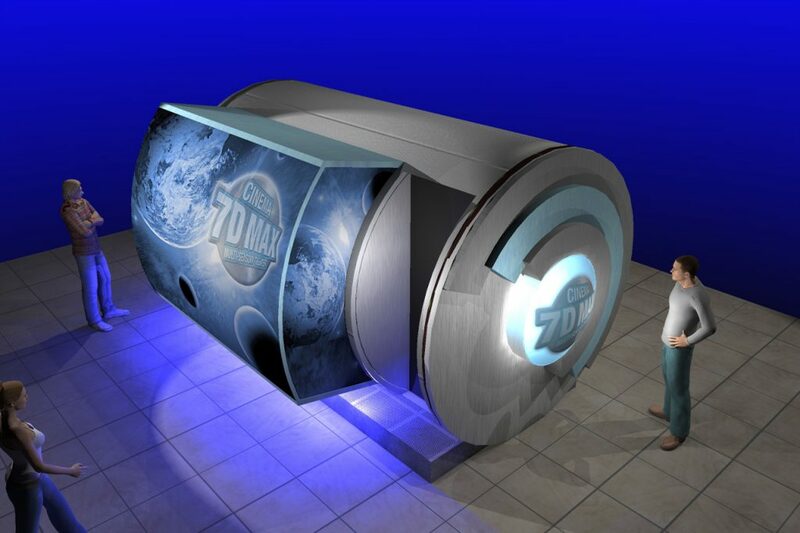 A hall effects package includes scents, bubbles, wind, smoke and more. 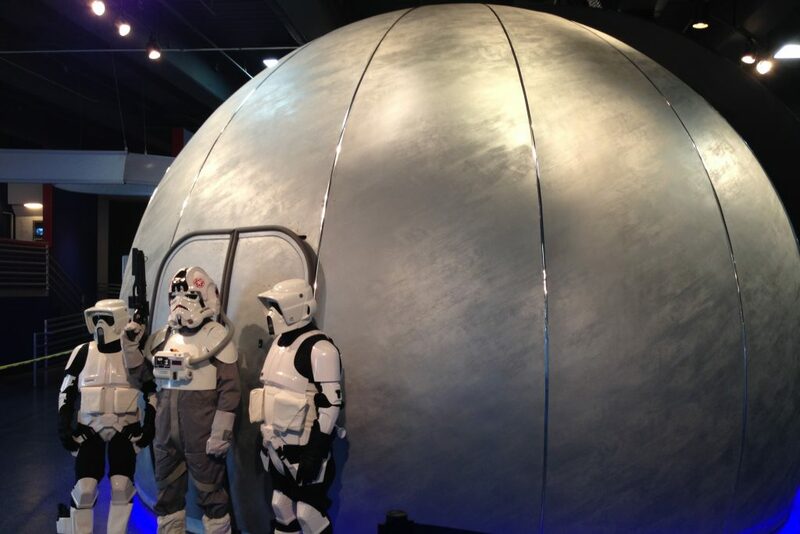 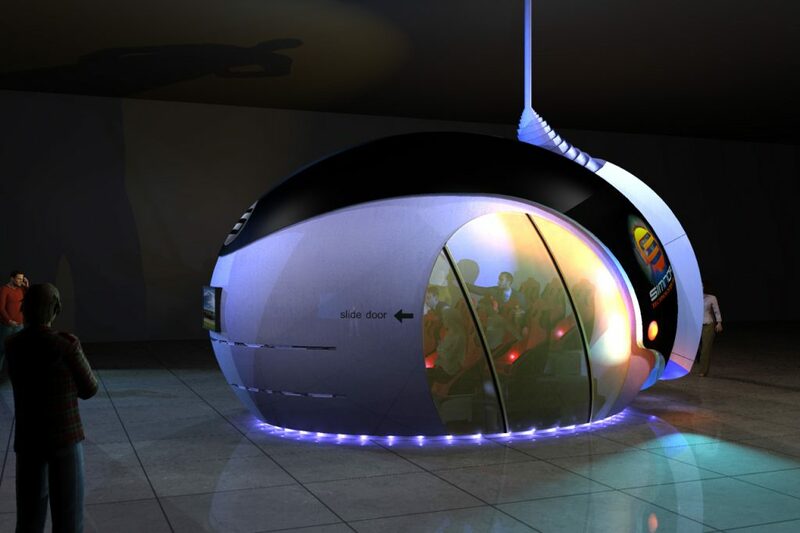 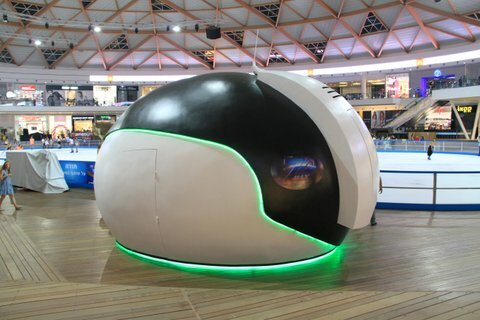 New: Optional 360° projection system. 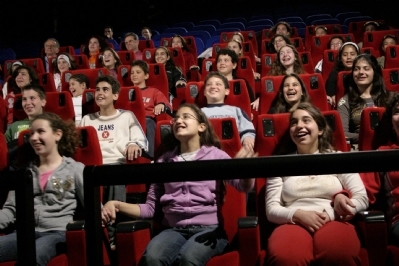 The theaters are installed onsite by our experienced technicians, who also test the system and train the users.